Use IDEAL air purifiers to breathe easily again. You cannot always see or smell them, but our indoor air is full of fine particles and pollutants. This poor air quality is risky to our health, performance and well-being. But that doesn’t have to be the case. IDEAL air cleaners and air washers help to improve the air in your rooms perceivably. True to the slogan: “My air. My life.” we offer a guide to indoor air. 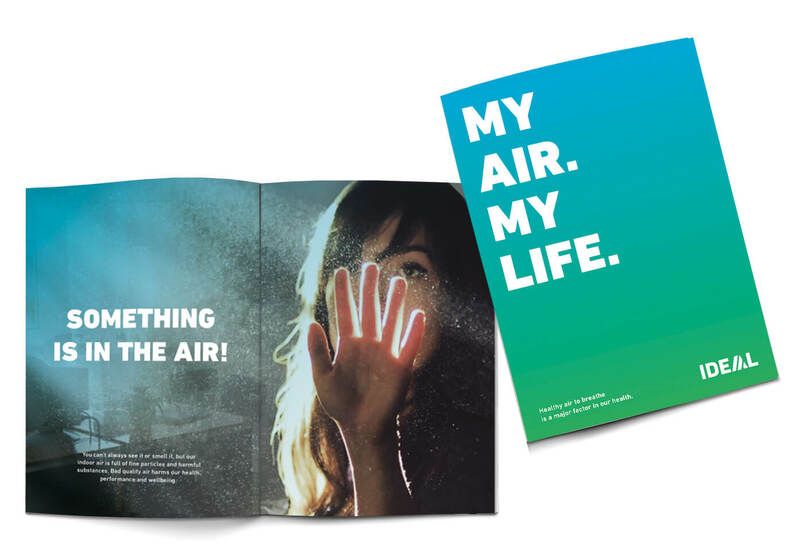 This brochure is available in a handy DIN A6 format, which serves as a guide in explaining why healthy air plays such a vital role for our health. With the most diverse information and application examples, the topic of “healthy air” is illuminated from the most diverse angles. Please request your printed copy from IDEAL today! Here our air brochure is also available for download.